While we are still awaiting the officially released of Google eighth operating system called Android Oreo later this year, owners of Google Pixel, Google Pixel XL, Google Pixel C, Nexus 5X, Nexus 6P can now enjoy the latest update on their device. The update which is still at its beta stage, will be made available via Over-the-air to all device soon. For owners of the device listed above, you can get the new update via two methods. First is Over-the-air update and the second is Flashing your device to get Android Oreo and in this post, we will be sharing with you both methods. This method is the easiest and very much simple to accomplish. First you need to sign up for Android Beta Program HERE, and press "Enroll Device" under a compatible handset. Doing this, will push Google to search for a software update for your device. You should noted that it could take up to 24 hours to get you the update if it is your first time signing up to the Android Beta Program. Once this is done, you will get a notification of the update in your device and then you can process to download it to your device. 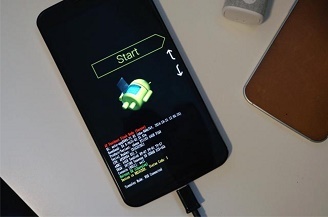 The second method is more technical and involves you flashing your device, unlocking the bootloader there by wipe your device. Before you proceed, back up your smartphone by going to “Settings”, navigated to “Backup & Reset” and then click on it. Also don't forget to set both “OEM unlocking” and “USB debugging” to the “on”. After this is done, go to “about phone”, and scroll down to where “build number” is listed. Click this box seven times and you will see a new option called “developer options call on this. Now head over to this site HERE and download the corresponding Android O images of your device. The file is over 1GB so instead of waiting proceed to the next step to download ADB installer. This will install all of the necessary files to allow your PC to communicate with your phone and as well help send the new Android Oreo software to your device. After download ADB installer, a new window will pop up asking if you want to install ADB and Fastboot. Simply press Y on your keyboard to agree and then press Y again to Install ADB system-wide. It will ask you to install device drivers do this and then click restart now to reboot your PC. Plug your phone into your computer and after you have successfully download Android O image for your device, click to unzip the file and the extract it. With your phone still plugged into your computer, power down your phone and then restart it in fastboot mode, open up the folder on your PC where you extracted the Android O image to. Click into the folder and then locate a file called flash-all.bat. Double click this to begin installing onto your device. The process will take about five minutes and you will have successfully installed the new Android O on your device. Please note that there’s no progress bar to indicate the download process is on so you just have to wait and you will be greeted with the latest Android O interface.